Jocelyn Widagdo received her PhD in 2011 from the University of New South Wales. 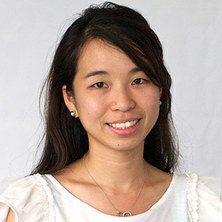 After a short period of postdoctoral training at the Johns Hopkins University in Baltimore, USA, Dr Widagdo returned to Australia in 2012 and joined the Queensland Brain Institute, the University of Queensland, where she is currently a Research Fellow at the Clem Jones Centre for Ageing Dementia Research. Her research aims to understand the epitranscriptomic mechanisms of synaptic plasticity, learning and memory, and how their dysregulations impact on the pathophysiology of neurodegenerative diseases and neuropschiatric disorders. Dr Widagdo is also interested in understanding the molecular mechanisms that regulate the trafficking of glutamate receptors in neurons, a process that is essential for excitatory synaptic transmission and plasticity. Her works were published in journals such as The Proceedings of the National Academy of Sciences USA, Journal of Neuroscience and Cell Reports. Dr Widagdo is currently supported by a Discovery Early Career Researcher Fellowship from the Australian Research Council (2017-2019).